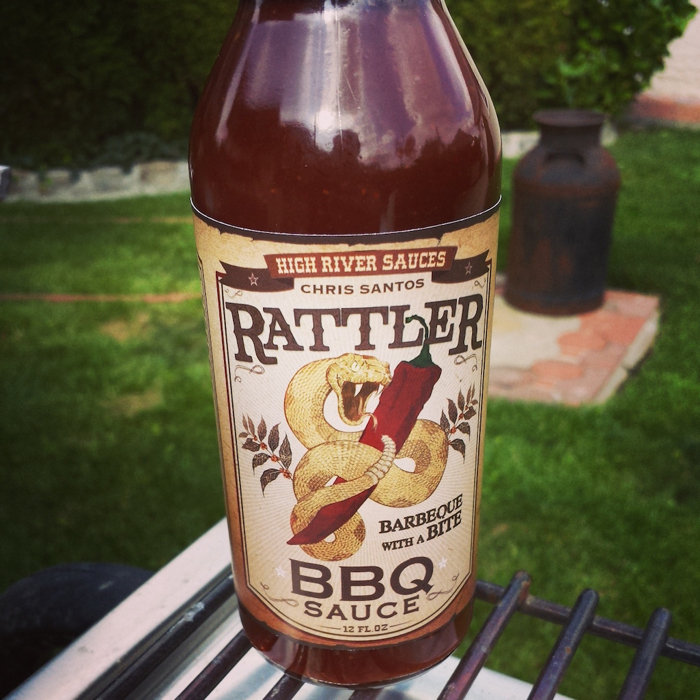 Chef Chris Santos, judge on Food Network’s popular “Chopped” series and chef and partner of Beauty & Essex and Stanton Social, collaborates with Steve Seabury of High River Sauces to launch Rattler Barbeque Sauce – the barbeque sauce with a bite! 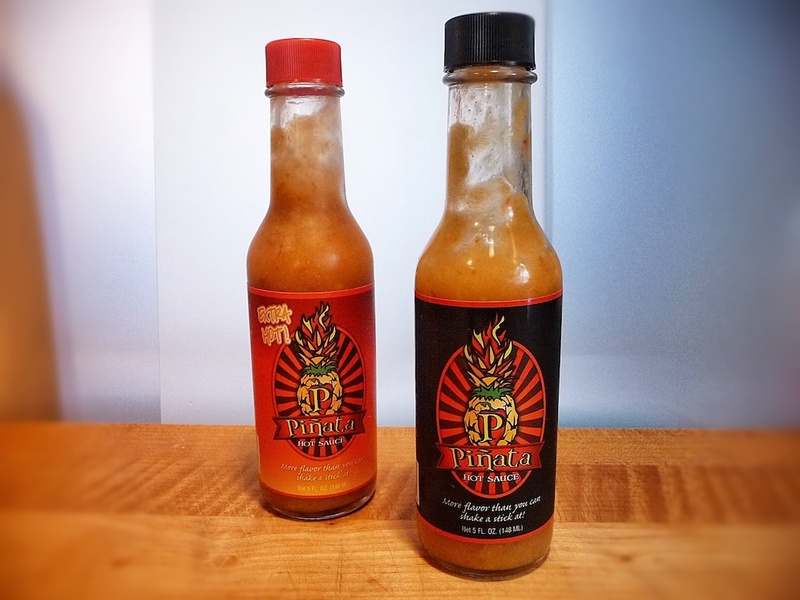 Showcasing the bold, fresh flavors that the award-winning hot sauce company High River Sauces is known for, Santos and Seabury have created a custom-made barbeque sauce with the perfect amount of sweet heat. 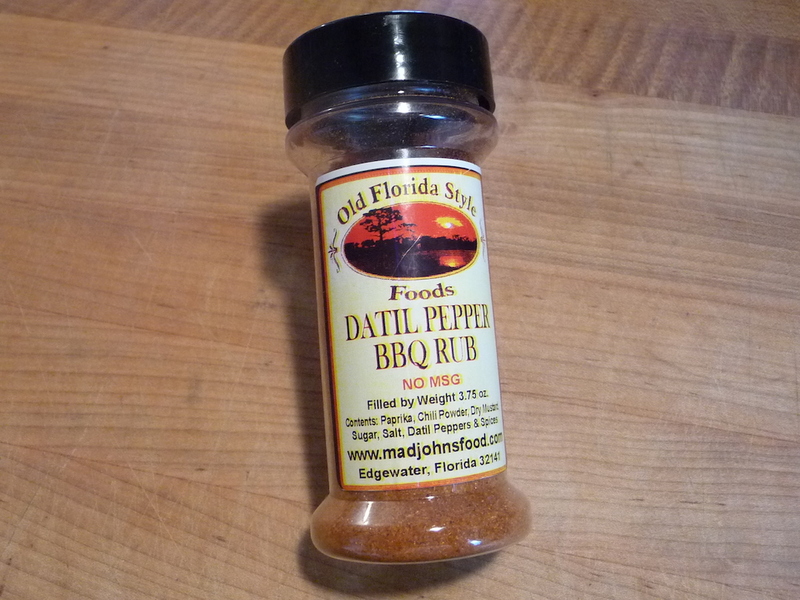 Rattler Barbeque Sauce features spicy Cascabel Chile Peppers, which, like the rattlesnake, are known for their distinctive bite – the name Cascabel actually translates to rattle. The intrinsic smokiness of this complex pepper is paired with vine-ripened tomatoes, rich molasses, robust coffee, as well as organic honey and raisins for sweetness. 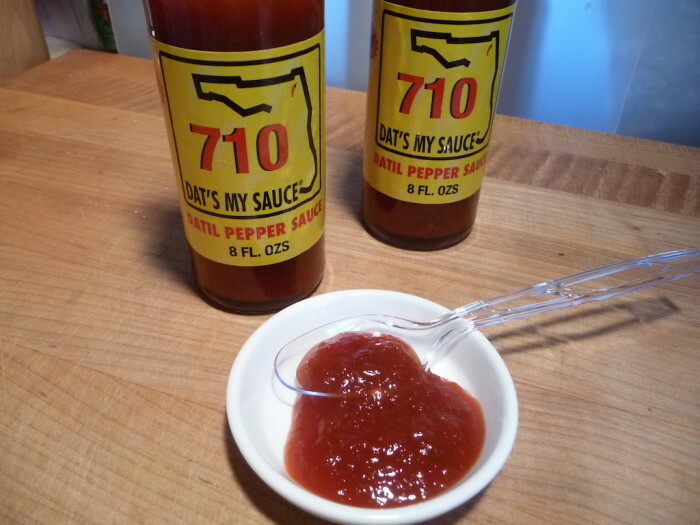 This unique combination creates a dynamic, well-rounded barbeque sauce that pairs well with anything from pulled pork and burgers to glazed grilled salmon or as any addition to your favorite foods. 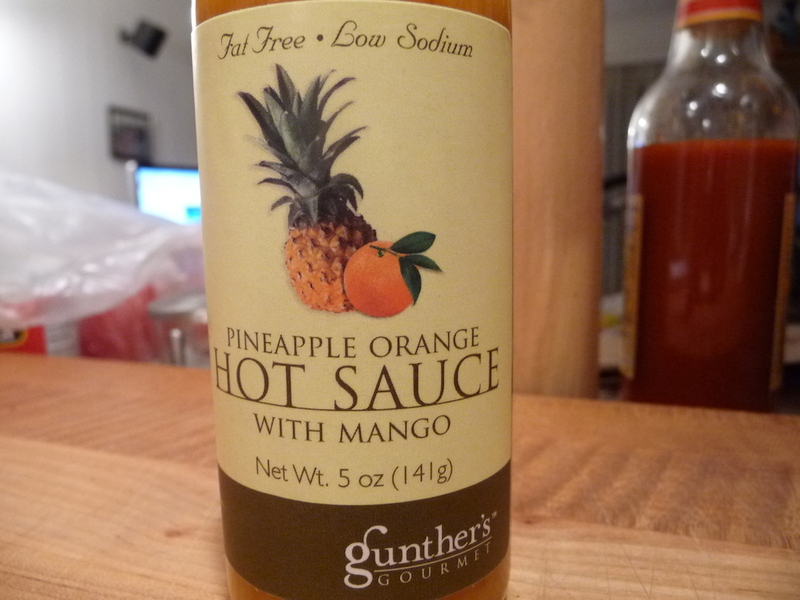 The sauce debuted at the Fancy Food Show on Sunday, June 29th and will be available online and through retailers in the coming weeks. Please visit www.santoscooks.com or www.highriversauces.com for more information. 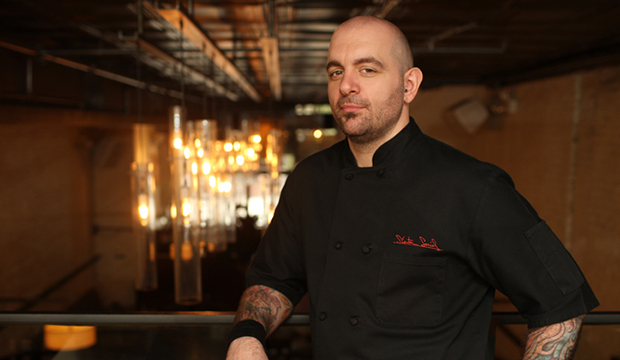 After graduating with honors from Johnson & Wales University and traveling extensively through Europe, Chef Chris Santos honed his craft, palette and style in various restaurants around New York City, like Dino BBQ Restaurant, etc. In 2005, Santos introduced the world to his unique brand of communal dining with his debut restaurant, The Stanton Social, which took the New York City dining scene by storm and has since become a true culinary institution. In December of 2010, Santos introduced Beauty & Essex to the Lower East Side, and this multi-level restaurant and lounge once again revolutionized dining in this trendy neighborhood and is one of the highest grossing restaurants in New York. In addition to these two restaurants, Santos is also is a judge on Food Network’s wildly popular show “Chopped.” His life out of his chef whites includes a love for boxing, rock n’ roll and tattoos. 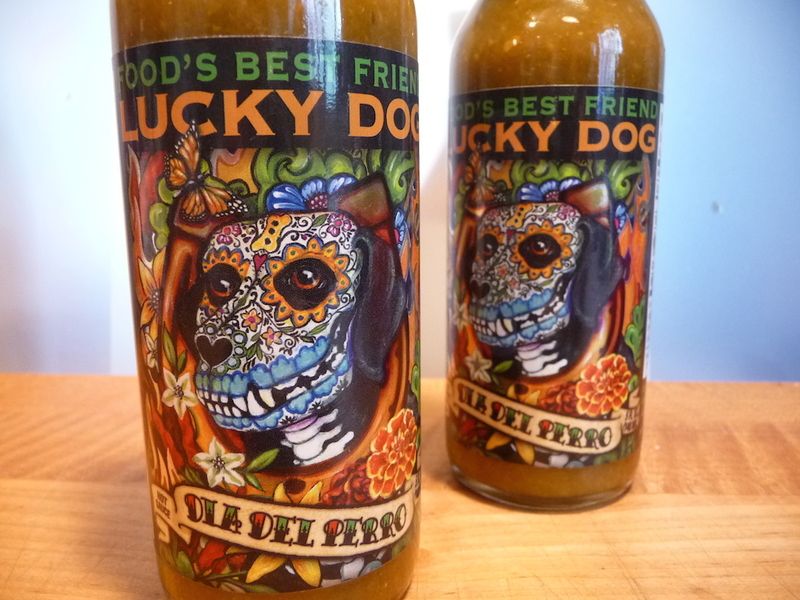 High River Sauces was created in 2011 by spicy food junkie, music industry veteran and cookbook author, Steve Seabury. His cookbook, entitled Mosh Potatoes (Simon & Schuster), showcases his obsession with good food and love of heavy metal music. This passion drove him to create one of the most buzz-worthy hot sauce companies in the country. In his short time in the fiery foods industry, Seabury has garnered numerous accolades including four coveted Golden Chile Awards. After traveling across the country showcasing his hot sauce, Seabury was inspired to create the NYC Hot Sauce Expo. Now in its third year, the expo has quickly become one of the biggest spicy food events in the world with over 10,000 attendees in 2014. High River Sauces is currently in over 500 grocery and specialty foods stores in the United States, as well as internationally, and has been featured on the Cooking Network, Good Morning America, Fox News, CBS News and other national media outlets.